If you are not using GCS Android or you don't want to make instant upgrade via https://www.gatee.eu/upgrade, please make purchase via form on this page. Please type the serial number of TITAN that you would like to upgrade in the textbox and select gearbox version. Upgrade will be prepared in 1 working day. It will be compatible only with the TITAN unit with the indicated serial number. 1. Make purchase via form on this page. 2. In 1 working day you will recieve an e-mail with confirmation that the upgrade is ready to install. 3. Make sure that you are using GATE Control Station version minimum 2.5 for PC or 1.2 for android. 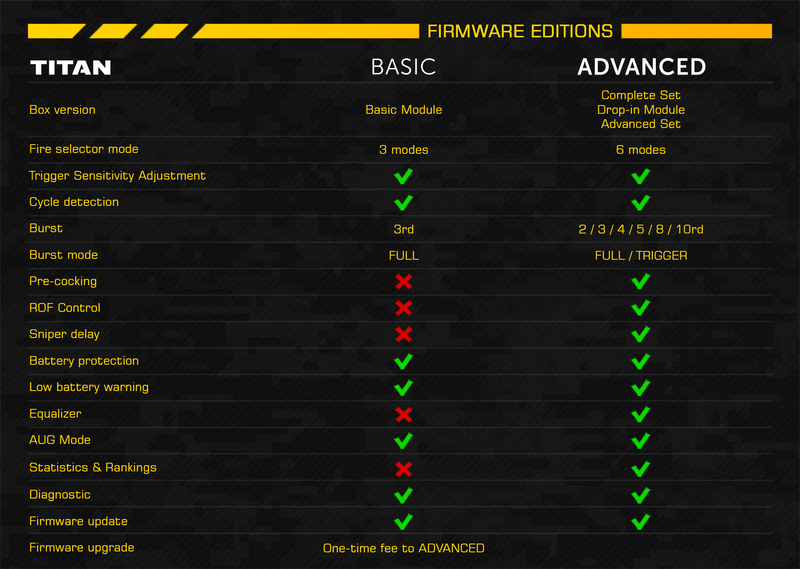 Since now your TITAN has the ADVANCED firmware edition.